The sugar conspiracy is real. You’ll do well to visit a local shop or supermarket nowadays and pick up a drink that’s not full to the brim with sugar or it’s nefarious substitute aspartame. And despite the myriad of health problems that are known to come with habitual consumption of sugar, household drink brands have seldom developed natural or healthy alternatives. But it’s high time for change. 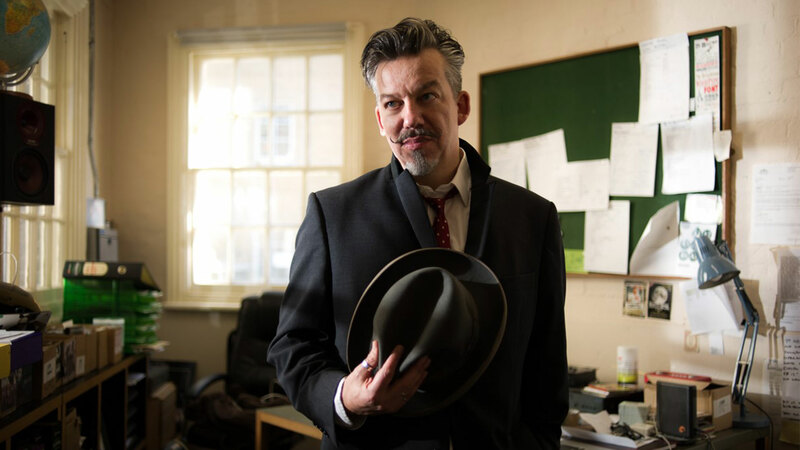 And change is what is on the minds of Hugh Thomas and Joe Benn, whose mission is to expose the ‘ugly truth’ about the nasties hidden in the fizzy drinks we’ve all known and loved for years. Their solution to the problem? 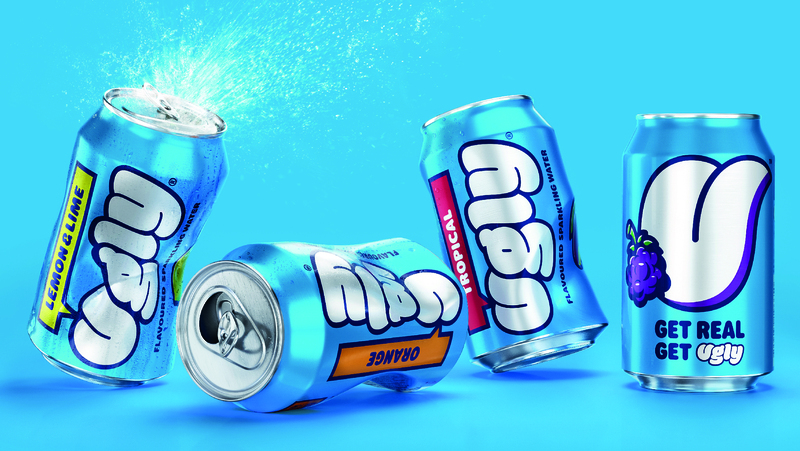 Ugly Drinks – the UK’s first range of unsweetened, fruit-flavoured, 100% natural sparkling water. 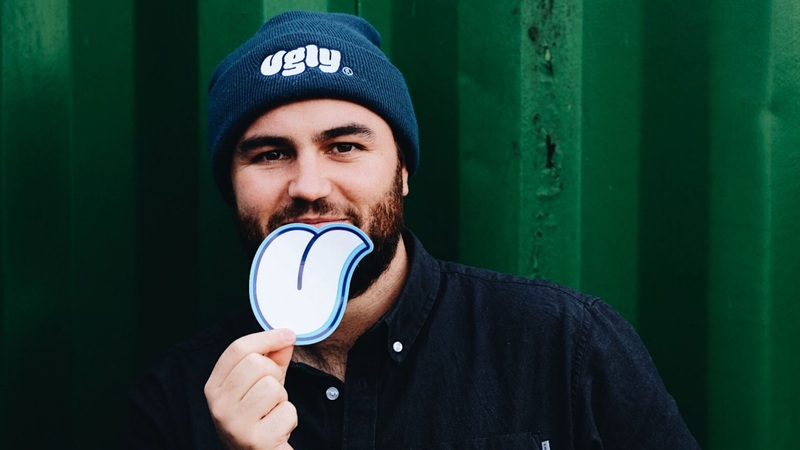 Since launching in 2016, Ugly Drinks have undergone a rebrand to echo the pain points of their target market; an emerging generation of health-conscious consumers that are actively seeking healthier alternatives in their diet. 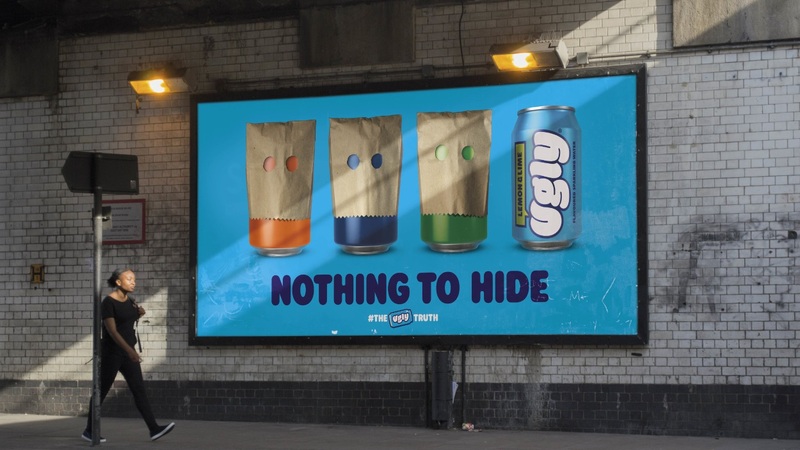 Ugly’s raw and uncut messaging coupled with their bright and bold personality give them a distinct personality, whilst their core ethos makes for a guilt-free alternative to the same old names in the drinks aisle. Ugly Drinks are now available in UK supermarkets including Tesco, Whole Foods and WHSmith. But plans for global expansion are also on the agenda in the near future. I caught up with Hugh to talk with him about his journey creating Ugly Drinks and where he intends to take the brand in the future. How did you go about conceptualising the brand identity such as the name, the story and the general personality of Ugly Drinks? I started the brand with my best mate Joe in 2015. At the time we were frustrated with a world filled with food and drink products that promised the world (to make you happier, healthier or more energetic), but ultimately under-delivered nutritionally. 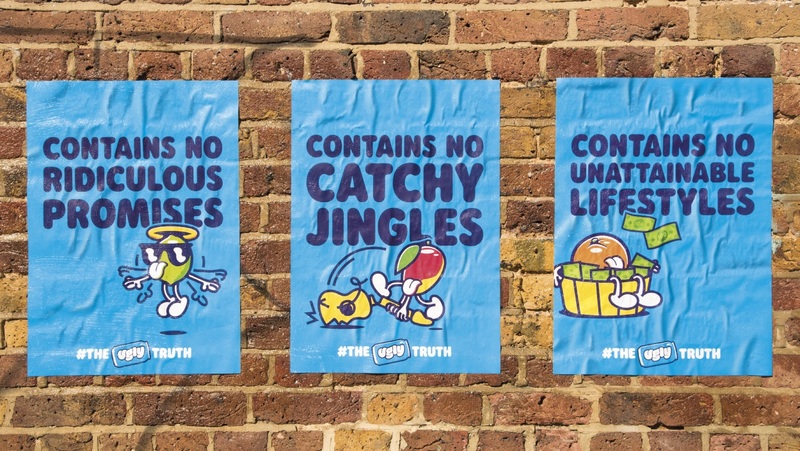 We felt this marketing was mis-leading and wanted to tell The Ugly Truth…hence the name Ugly! We’re here to take on the big dogs…and show that there is a better way. With no sugar, no sweetener, no calories and no artificial ingredients, Ugly is the perfect alternative to sugary and sweetened fizzy drinks! How long did it take from the birth of the idea to getting Ugly Drinks on the shelves of major supermarkets? From the outside it might look like this has been a quick process but it’s taken just over 2 years to get our first supermarket listing in the UK with Tesco in March. It’s great to see retailers now looking to stock healthier alternatives and this is driven by consumer demand. Consumers want healthier food and drink and it’s down to entrepreneurs to solve these problems. For us, it’s been a case of building successful case studies from day to day and continuing to build momentum and knock on doors until the time was right. Are there any specific areas in the UK that have been quick to adopt the product? We’ve seen a huge interest from both offices /workplaces and online consumers. In the workplace, Ugly provides a great alternative to diet soda, which has for a long time been that 3pm office staple, but now workers are able to relax with a cold can moment with none of the bad stuff. At the same time, we’re seeing a huge growth in our direct-to-consumer business and consumers wanting the convenience of ordering large amounts of Ugly to their doors. There are plenty of fridges well stocked up across the UK through our subscription offering! What social media channels have been most effective in marketing the Ugly brand so far? And what sort of paid media have you experimented with? Social media has been an amazing tool for us to spread the Ugly word since launch. We are a high visual brand with a strong opinion and Instagram has been particularly successful for us in terms of building a following and engaging with our community. We still have great engagement on Twitter and Facebook and will continue to use these channels, whilst we also launched our YouTube channel in the last few weeks and will continue to create more visual media in coming months (you can see our first video at uglydrinks.com!). What where the biggest challenges of bringing a radically different product to the market, and what do you see as the main challenges for the future? There are challenges across the board, from sales to operations and production and to securing capital to run the business, but all of these things are solvable with creative thinking, hard work and persistence. Generally we find that the solutions exist if you ask the right people the right questions and so this is how we approach things. 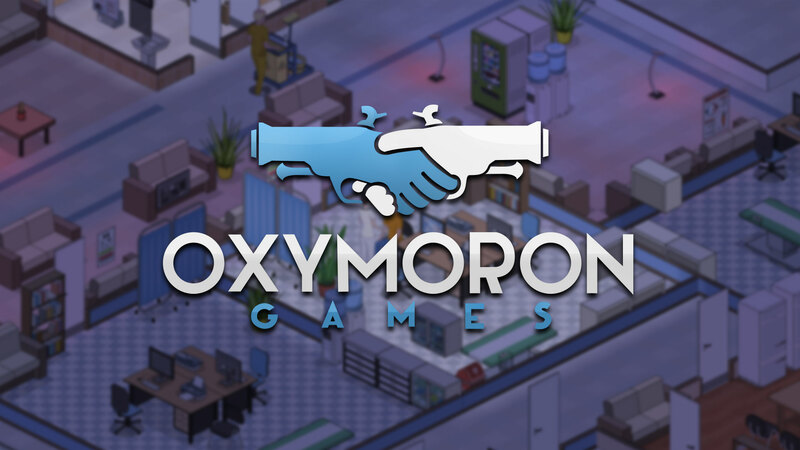 For us going forward, we recently launched in the US and running our business there poses obvious challenges, but we are focused and will break things down step by step and solve the issues as they arrive. How do you see the brand/product developing over the next five years? We are determined to really take on the sugary and sweetened fizzy drink market, and that’s what we will continue to do, providing healthier options to consumers. We want to create more flavours and give consumers more choice, whilst building our business as a truly omni-channel brand available to your door via our website, Amazon and traditional retailers. We’re excited to really build a brand that makes a stand to, and recently partnered with United Nations Foundation Charity, Girl Up (girlup.org), to take on the Ugly Truth of gender inequality, globally. We give 1pence (UK) and 1cent (US) back to Girl Up from every can sold. From the feedback so far, what flavour has been most popular? And what is your favourite flavour? I love them all, and we’ve tried to create a range that suits everyone. Right now, I’m going through an orange phase, so that’s my current go to!